All children are born creative. Yet why is it that when we ask adults, the majority would not describe themselves as being creative anymore? What has happened over those formative years to remove a person’s ability to come up with great new ideas? 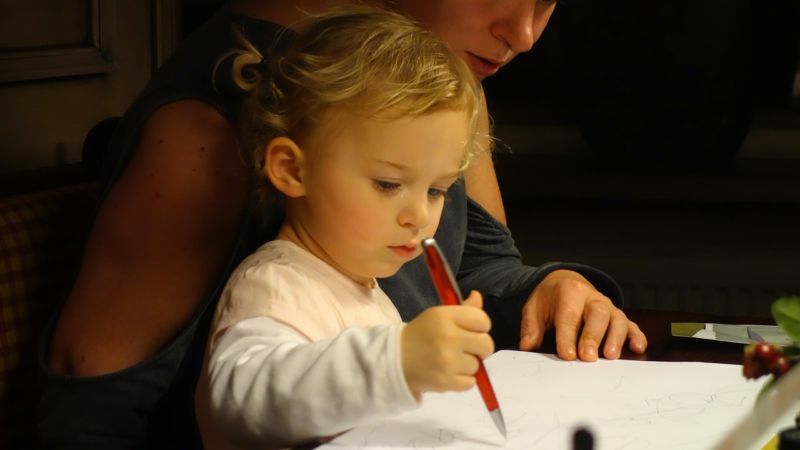 Can we keep our children creative for longer? And more importantly, is there anything we can do to bring back this lost creativity in adults? For the past four years, I have been gathering evidence and research about what really helps new ideas and innovation happen. It has included deep dives into the neuroscience of what is happening in your brain while you are creative, to why the most innovative companies in the world can seize upon new ideas which older companies ignore. Fortunately, we now have answers to all of these questions. And the answers are positive. Before we begin to make broad assumptions about how children are more creative than adults, we should first look at what the evidence says. In 1968, George Land (with Beth Jarman) conducted a research study to test the creativity of 1,600 children ranging in ages from three-to-five years old who were enrolled in a Head Start program. This was the same creativity test he devised for NASA to help select innovative engineers and scientists. The test was to look at a problem and come up with new, different, innovative ideas, and their responses could be used to assess a person’s creative capability at that time. 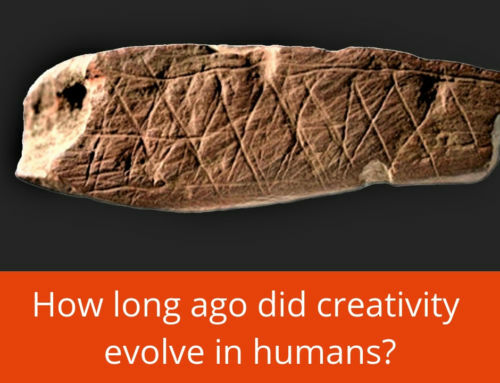 But what is causing this drastic drop in our ability to come up with new ideas as we age? Is it just a biological process (nature) or is it caused by changes from the society around us (nurture)? As with most aspects of developmental psychology, both play a factor. From a natural change perspective, there are some changes which happen in our brains as we age. Various scientific studies have shown that the human brain is incredibly good at recognising patterns of what has previously worked. It is an evolutionary benefit to prevent us going into risky situations, like going into a dark cave without checking if there was a predator inside. When it notices that a previous way of doing things worked well and was safe, it makes this mental pathway stronger making those specific connections more energy efficient every time they are used together. As we age, our most-used memories and habits are continually reinforced until they can cause the brain to instantly have the right answer with no effort, almost running on autopilot. However, this same process also makes it harder to have creative ideas, as they force the brain to process all new information again, which is far harder and may result in a risky new solution which doesn’t even work. Therefore, the older brain’s preference will always be to use safe memories instead of creative new ‘risky’ solutions. And this feeds into the second aspect of decreasing activity, the nurture of how children are brought up. When children are very young, they are often encouraged to use their imagination, draw, dance and create stories. But once school begins, the emphasis shifts to learning and reciting facts. And then onto tests and exams which grade you on being able to give the right answers to specific questions. As we get older, the importance of each set of these exams also grows (from passing a year, to getting into university, to getting the grade for the career you want). The effect of this is that throughout their development, children are taught that giving the right answer is what is important, which is in line with convergent thinking only. Divergent thinking, which can result in a whole list of incorrect answers, is drilled into us as being dangerous and to be avoided. Another study by Kyung Hee Kim (2017) showed that since the 1990s, when additional “exam result focussed teaching” became the standard in the USA, creativity scores of the whole population has continued to fall each decade. Therefore, children grow up into adults who want to avoid making mistakes, and therefore avoid the risks of creative ideas. So while nature has a part to play in declining creativity, the main cause is actually the mindset we build in ourselves as we grow up. The good news is that by understanding this mindset, we can actually train ourselves to be more creative again, even as adults. How can we improve our creative ability? Give yourself 15 minutes every day to let your mind wander: In today’s hyperconnected world, it has become almost impossible to disconnect from what is happening around you and just be alone with your thoughts. But if you take just 15 minutes each day when you are not focused on a screen, page, face, problem or conversation, it allows your brain to allocate resources to forming the random new pathways which form the best, most original new divergent ideas again. 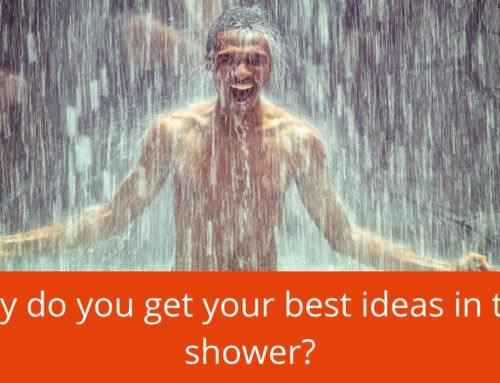 This is why people often have their best ideas in the shower, not while at their desks. Write out the challenges you are looking for solutions to: If you don’t list out what problems you’re trying to solve, you can end up repeating the same wrong solutions over and over again. Worse, you may end up in unproductive spells when don’t try any solutions at all. By listing out the problems to be solved each day, and the idea you will try to solve it with, you can force the brain to come up with new ideas when it sees that a previous attempt didn’t work, and improve upon it. Do some creativity training exercises every day: Nothing helps get the brain out of its autopilot mode than forcing it to be creative. 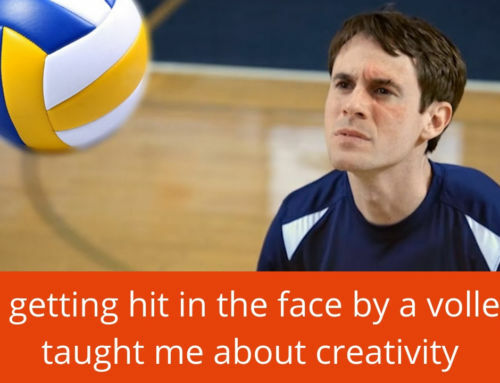 At the company, I have developed thousands of creativity training exercises which people can use to challenge themselves to be creative every day. 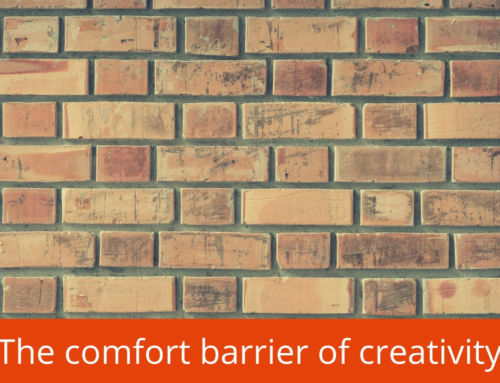 My clients tell me this works wonders in making them more comfortable and willing to push through the discomfort of their creativity barrier which can form over years. Get variety and new experiences into your week: Once a week, make sure you do something or learn something which is fundamentally different than what you have experienced previously. A study in Holland showed that even a slight change to your routine can lead to a more than 14% increase in creative performance immediately afterwards. And by gaining new knowledge, it gives your brain more seeds from which new random combinations of pathways can form. Set yourself a creative project every month: Each month, produce something, anything, that you take ownership of, and release it out there into the world, even if you feel it isn’t 100% perfect. It is the fear of failure if we don’t reach perfection that is one of the most dominant forces holding back your creativity. Also important to realise is that this activity each month isn’t about skill. It’s about getting it done. Executing rather than execution. It doesn’t matter if you’re not a great painter, singer, dancer, carpenter or programmer. Those are all skills, and skills can be improved over time, and they will improve if you work at them. With these insights, I have already helped thousands of people take back control of their own creativity. Share this knowledge with someone you care about, and then take the next step towards your own next big idea, and make it happen!